Posted November 11, 2013 by Norburn Lighting and Bath Centre & filed under LED, New Products . Modern Forms is a first of its kind, all LED lighting company. Modern Forms is the premier brand for dynamic LED lighting solutions for the modern space – including interior and exterior sconces, vanity lighting and ceiling mount luminaires. 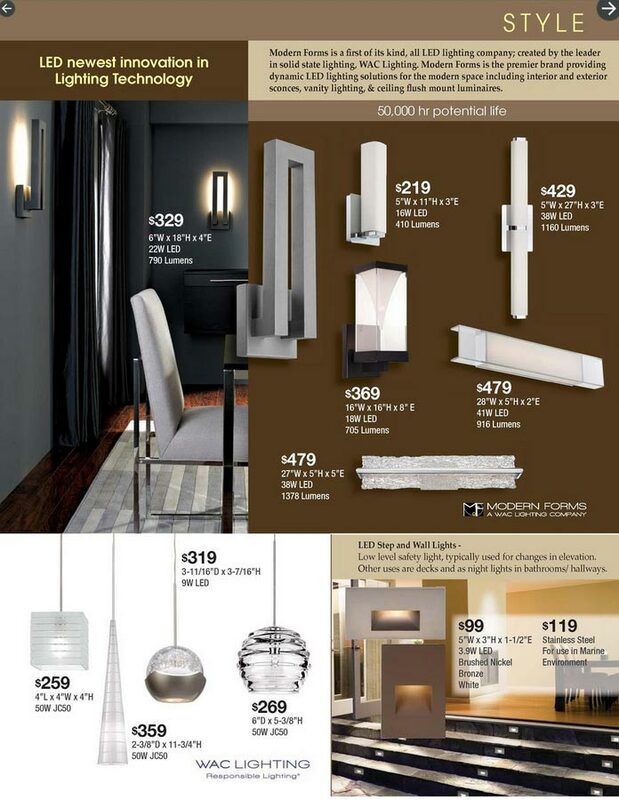 Check out the newest LED lighting technology on sale now in our Lighting Essentials 2013 flyer.